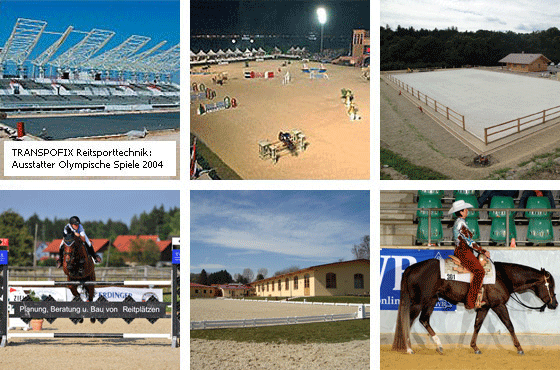 Ideal ground conditions for horses: The new generation of riding range grounds with active separation layer. EQUO-FLEX is a flexible separation layer with a highly developed drainage system. The elasticity of the material together with the resilient construction guarantee an optimum attenuating effect. The drainage system ensures a well-balanced humidity behavior which also remains stable during and after a strong rainfall. The water is channelled from the surface beneath the separation layer. 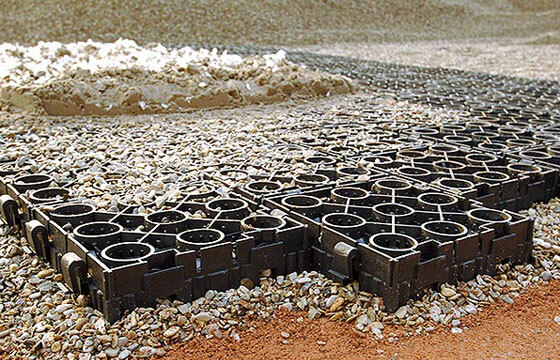 The application of EQUO-FLEX ensures optimum ground conditions over a long period of time. The innovative separation layer contributes actively to the horses’ health at competitions as well as during the daily training. The risk of tendon and joint injuries due to bad ground conditions (for example too deep or slippery ground) is thus minimized. Optimum: Backwater under the separation layer with the EQUO-FLEX drainage. During riding the joints of a horse are exposed to extreme stresses and strains. Especially after a jump parts of the horses’ skeleton must withstand a multiple of its’ body weight. EQUO-FLEX was designed especially with these conditions in mind and with its sophisticated structure ensures optimum ground conditions which are similar to the natural environment, a forest soil which accumulated over the centuries. Dr. Klaus Bosler, orthopedically oriented veterinary specialist for horses, judges the use of EQUO-FLEX as desirable from a medical point of view. According to the assessment of the veterinary specialist the active separation layer is to be evaluated as a prophylactic measure to prevent orthopedic illnesses. Under extreme conditions the ligament is pushed through to the ground. The flexible interconnected elements result in a mat size of 1,1 m². 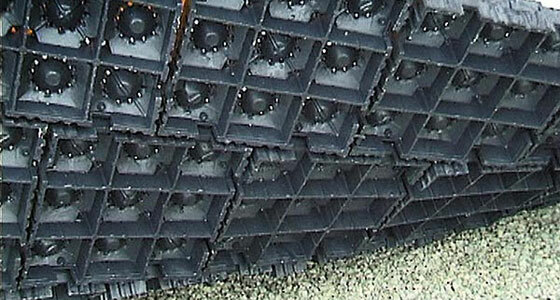 These mats can be easily interconnected by means of the sophisticated clamping system. Smooth compensation of different pressures, temperature variations or changes of the subconstruction. The combination of flexible raw material and the elastic design of the elements results in a highly attenuating effect. Optimum humidity behavior due to a functional drainage system. Fastest drainage of the footing, even in cases of extreme rainfall. Optimum solution for the do-it-yourself construciton of riding rings as well as for the extreme stresses and strains of horsewalkers. Whether bridleways, lunging rings, indoor riding rings, Western riding rings, an exclusive riding stadium, natural water obstacles or a construction set for the creation of your project are concerned, the TRANSPOFIX team advises, plans, delivers and produces for you. © 2017 Transpofix Equestrian Technology. Alle Rechte gesichert.